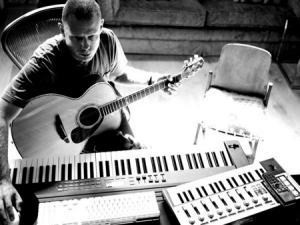 Grammy-award winning producer Kipper will take attendees through an entertaining journey explaining how he works creatively with Logic Pro to create music for artists such as Sting and James Morrison. The masterclass opens with a performance of the Sting track '1000 Years', co-written and produced by Kipper, with the creative journey explained using the original recordings (including a recording by the London Symphony Orchestra). Other topics covered include composing for filmmaking in Logic, internet recording, remixing and backup. The class is highly revealing and entertaining, with live performances by Kipper and Phil including a track especially written for the class. Along the way you will learn how award-winning producers work both creatively and technically with invaluable advice and tips for any aspiring or established producer, musician or recording engineer. Entertainment Tonight's own Samantha Harris turns on the red light for an exclusive one-on-one with Sting before his summer tour backed by a 45-piece orchestra. Watch the video as Sting serenades Samantha with a private concert! "I'm driven by my curiosity," says the Grammy winner. "I like to take risks. I don't want to keep doing the same thing again and again. I'd be totally bored to do that." Sting is hitting the road all over the United States this summer, performing his greatest hits re-imagined for symphonic arrangement in such locations as The Metropolitan Opera in Manhattan, The Hollywood Bowl in L.A., Red Rocks in Colorado and Ravinia in Chicago. Selections will include such fan-favorites as "Roxanne," "Every Little Thing She Does Is Magic," "Englishman in New York," "Fragile" and "Desert Rose."